Hi there, I have a WAG120N ADSL wireless router at home. I want to extend signal coverage to cover the house better. 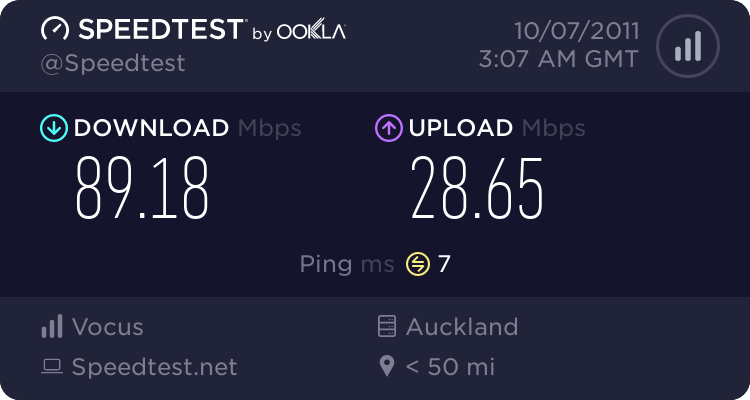 Should I just buy one of those wireless repeaters off Trademe for about $50 or would I be better buying another proper wireless router and configuring it up ? What would the pros and cons be of both options ? I have never done this before so would appreciate any advice on the best way to achieve this. Thanks kindly for any help. Your best option would be to run an ethernet cable from your current router and to the new location and installing a cheap as chips access point. If you want a bit more speed and future proof-ness look at a Unifi Pro which will give 2.4GHz and 5GHz wifi. Otherwise a cheap TP-Link access point will do the trick too. Wifi 'repeaters' are generally more trouble than they are worth. Also if they will half throughput each time you 'repeat'. My first recommendation would be to type "extend wifi coverage" into the search box at the top and read some of the threads that come up. This is a very commonly asked question. WiFi extenders are both a good solution and a bad solution. If you don't understand the limitations they're typically a bad solution. Im always answering this question on here lol. b. Homeplug adaptors. They use the mains wiring within the walls of your house to transport the ethernet cable. 2) Install an access point or router configured as an access point at the far end of the house, connected to your main router via the long ethernet cable or homeplugs. a. Set its LAN ip address to be one away from your primary router. b. Disable DHCP server in your secondary router. We dont want it issuing ip addresses. 3) Set your secondary router / AP to use the same SSID (network name) eg. RaysWifi but on a different channel. Use the exact same security settings. eg. use WPA2 Pass1234 on both but not WPA/WPA2 multimode. 4) Connect the Lan port of the primary router to the Lan port of the secondary router via the long ethernet cable or homeplugs. Your laptops will roam to whichever AP/Router they get the best signal from. What ray said but put some effort into getting a cable thru as home plug is a very much second best option to a wire. These use WDS repeating to store-and-forward the wifi data. They listen, store it and then transmit it. The wifi AP (router) may not be able to hear the laptop, so the repeater listens and re-transmits the data which the laptop can hear. The issue is that you loose half your speed. An 802.11g connection running at a perfect air speed of 54 megabits is really only capable of putting through 26 megabits of actual ethernet data. A WDS repeater by its very nature (store-and-forward) halves the throughput so your maximum theoratical throughput drops from 26 to 13 megabits. This can impact your internet speed as your typical ADSL connection coming into the house runs up to 16 megabits. Your laptop will route through whichever (AP or Repeater) it gets the best signal from. So you may be close to the router, but will still be impacted by the WDS repeater as your laptop may be routing its data through it. The positive feature of a WDS repeater is that they are easy to install and use. Data throughput is susceptible to interference from other wifi networks and sources of 2 and 5ghz interference which will worsen the throughput to less than 50%. These can be good. They recieve on one channel and transmit on another channel. Your laptop will connect to it like an AP / Basestation and the repeater unit will connect to the router/AP like your laptop. They have two radios in them so they can recieve and transmit at the same time. This means you get your full 24 megabits of speed. I have only seen one model of these on the market in NZ, could be more though. I think it was a netgear. 100mbit to 1gbit of data thruput happiness at a cable distance of 90 metres. Fast and the most reliable method. Harder to install, but can be still pretty easy. You can run them under the floor, through a wall into a wardrobe, up the wardrobe wall to an attic, then down into another wardrobe, through the wall to a device. 50 to 150mbit usable throughput. Not as reliable as ethernet but more reliable and stable than wireless. Still susceptible to AM radio interference or improperly earthed appliances with motors in them - though in general pretty reliable. If you have multiple mains phases coming into the house, they need to be on the same phase. Easy to install and configure. They have AES security built into them for using in apartment buildings. Best to go with the same brand - typically you can have up to 8 homeplug units on a single phase. They will work well with good wiring but with bad quality mains wiring they can be difficult to use. Good for extending internet out to the garage or sleepout. Ray, how about writing that up as a single post and perhaps look it getting it made a sticky thread/FAQ? Set your secondary router / AP to use the same SSID (network name) eg. RaysWifi but on a different channel. Use the exact same security settings. eg. use WPA2 Pass1234 on both but not WPA/WPA2 multimode. <. Not wanting to hijack the thread but interested in this as I am having some trouble with my setup using powerline adaptors, could you explain this bit to me, I just have mine set to the same security type which I think is WPA/WPA2. Not at home at the moment to check. My problem is that I keep losing internet connection to the laptop and windows checks the connection and resets the wireless adaptor then it works for a while but drops out again. I have updated the drivers etc. When I set up my second AP I used a different SSID. Works fine, but I have to change between them manually. I've read the Galaxy phones don't do a great job at changing between different APs. timmmay: When I set up my second AP I used a different SSID. Works fine, but I have to change between them manually. I've read the Galaxy phones don't do a great job at changing between different APs. There is no need to bother. Providing you use a different channel to avoid interference and keep the same security type you can set the same SSDI and roam fine. The 802.11 standard by itself doesn't support roaming as it's up to the device to handle switching APs when the signal level gets too low. The 802.11k and 802.11r standards deliver this for APs and devices that support this. I've never seen too many issues with my S3 changing APs. Some random questions from me while we're on this topic. High gain antennas - What is the main reason people don't recommend these to improve coverage? Loss of diversity? Its mostly the increase in background noise. Personally I do recommend larger antennas, but in a typical home it will only give you an extra wall of coverage while picking up more noise from your neighbours wifi networks. Ideally you want to place a directional antenna on your client device that will both increase its recieve ability and its transmit ability by focusing more power in a specific direction. This is hard to do with a laptop or cellphone though. Directional antennas also pick up less noise from sources outside their beamwidth. The central antenna of the access point can stay a smaller omnidirectional (standard) so you can have multiple directional client antennas facing it, from different areas. However if needed, you can get a larger omnidirectional antenna or directional for the access point if it allows you to change it. Bigger omnidirectional antennas dont work for multi-story buildings. I'll tell you why once I have written up the stiky post. IO understand why you would want to change the ip address of the 2 routers to be different but what is the advantage of doing poin t c below? What's the alternative, let the master router assign ip addresses automatically? Or am I getting confused? I guess the point is to have the DHCP range different from static addresses. You could choose whatever you wanted though but Ray's suggestion is good.